BOSTON – Technomad LLC, a leader in weatherproof loudspeakers and audio systems since 1995, announces new survey results based on a recent poll of approximately 7400 customers worldwide. While the company’s trademark weatherproof construction and rugged design for harsh environments were cited as main reasons for buying Technomad by most customers, superior audio quality was cited by nearly as many customers as the chief benefit of Technomad loudspeakers. A cluster of four Technomad Viennas installed at Kalama High School in Washington State. AVX Northwest provided the installation. The survey was open to a variety of Technomad customers, from consultants, design engineers and systems integrators to equipment dealers and end users. Many customers that cited audio quality as a main reason for purchase were as drawn to the musical reproduction of the loudspeakers as voice intelligibility. Technomad loudspeakers are designed to ensure that low, mid and high frequencies are all reproduced in a superior manner for any kind of installation, both indoors and outdoors. Sound contracting for permanent installations, sound rental, and end user applications for school sports, cruise ships, theme parks, churches and music venues were among the most popular applications cited in the survey. 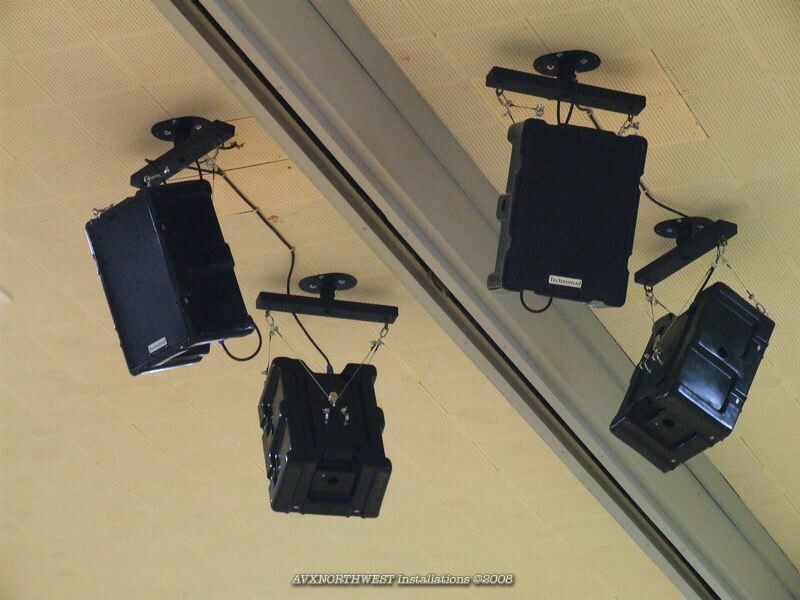 Technomad offers eight IP56-rated loudspeaker brands, many of which are available in the company’s popular Turnkey PA systems that also include a signal processing rack with a six-channel mixer, amplifier, dynamic microphone, cables and connectors. The company also recently began shipping two game-changing products to its portfolio: The Schedulon automatic mp3 player and recording system, and the PowerChiton series of compact, networkable weatherproof outdoor amplifier modules. Technomad has also been lauded recently for its green efforts, switching to 100 percent recycled plastic for its black loudspeakers, and altering its manufacturing process to enable RoHS compliance for all products now shipping into Europe. Please contact Technomad at 617-275-8898 or visit http://www.technomad.com for more information.